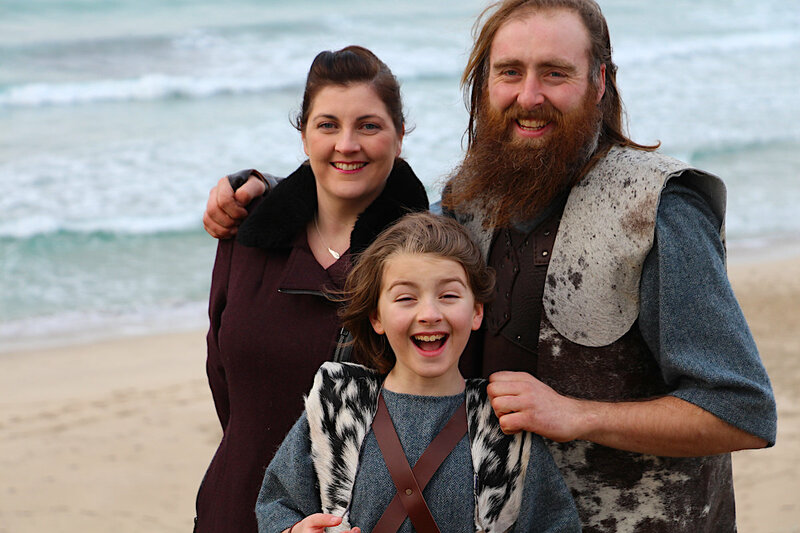 HAVING lived on a Viking settlement all his life, this year’s Cullivoe guizer jarl James Nicolson has grown up steeped in Viking heritage. 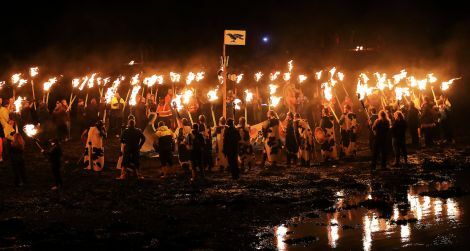 The 38-year old, from Breckon, proudly follows into the footsteps of his father Alex who was jarl in 1967, and as secretary to the committee for 45 years, is widely be credited for reviving the festival after a low ebb in the late 1960s. 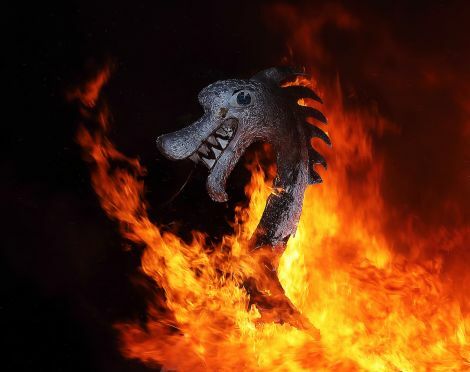 Today, Cullivoe Up Helly Aa goes from strength to strength and has long stopped being just a north Yell affair – in fact it now lasts four days to take in all the island communities. The jarl with wife Fiona and son Ollie O’Breckon. 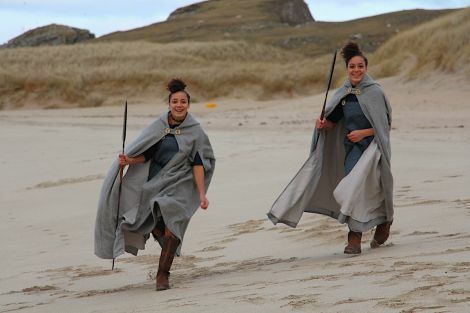 “Yell is a large island, with almost individual communities, so the festival is a very good event in uniting the island,” James O’Breckon said on Wednesday afternoon during a break in the hectic last hours before the festival gets under way on Thursday morning. 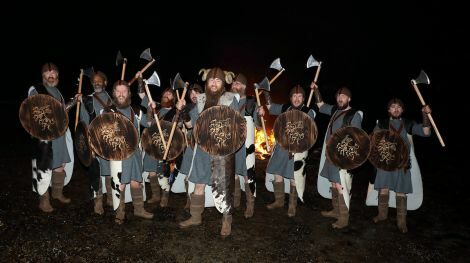 The jarl said that after months of preparations the fact that he is to lead the local Up Helly Aa with his squad of 17 Vikings, junior Vikings and princesses finally starts to feel real. “We have been spending so long getting to this weekend, you almost not had a chance to think about it,” he said. Dressed in an outfit that is closely linked to materials and colours found at Breckon, James’ own “strong-willed” Shetland sheep delivered the wool for the kirtles and the dresses while the skins were imported from the Continent. 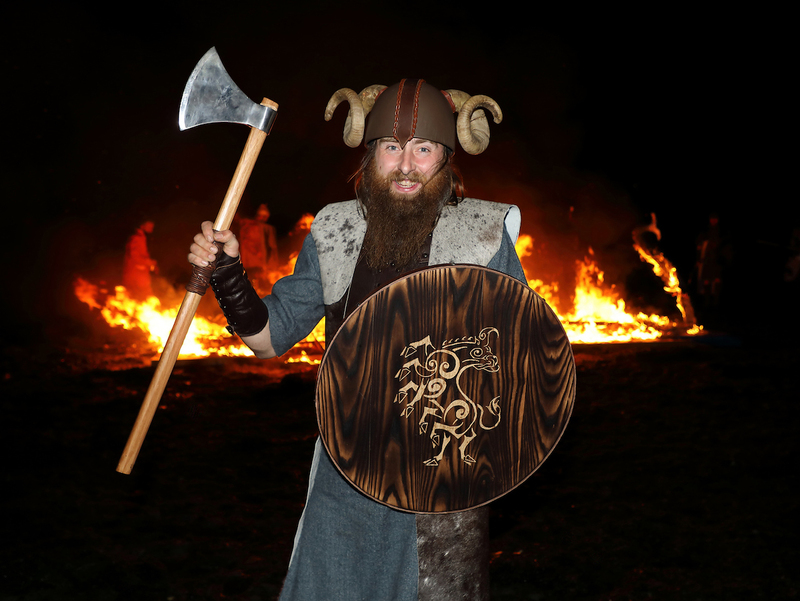 The squad logo stencilled onto the shield, which is made of ash, was designed by June Brown with the inspiration coming from Sleipner, Odin’s eight legged horse. 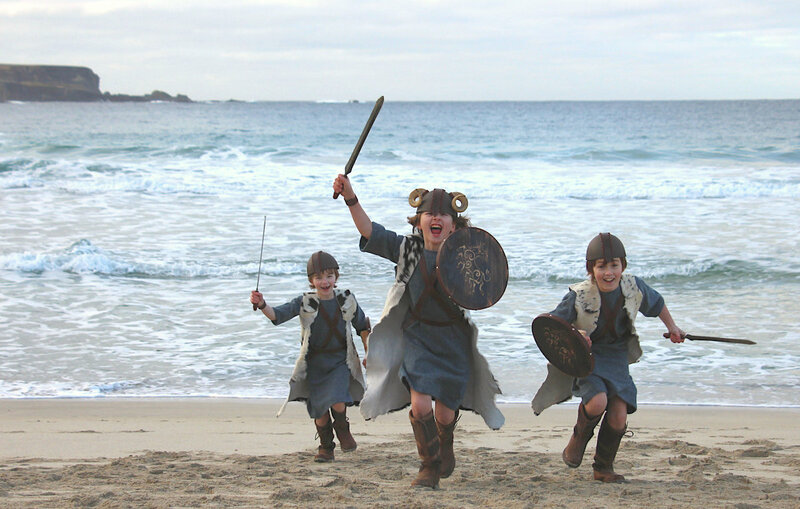 And as it is always the case, and not just in Cullivoe, Up Helly Aa is very much a community and a family affair. Being a Viking is great fun – the squad’s three juniors led by the jarls’ son Ollie O’Breckon. James O’Breckon will be joined for a weekend of celebration by many lifelong pals such as Brian Brand and Michael Nisbet, as well as family including his father Alex, his son Ollie, his father in law Emmanual Msalila, and his two sisters in law Elsie and Hannah Msalila. He said he wanted to note his appreciation for the community spirit and the work that goes into the festival. The two princesses Elsie and Hannah Msalila. “I have been truly humbled by the effort folk have put in to making the whole experience, so far, wonderfully memorable. Here is to a good helly,” he said. Cullivoe Up Helly Aa begins in Burravoe on Thursday with visits to old folk in the hall and bairns at the school, followed by a journey to Mid Yell to the school and the care home there. 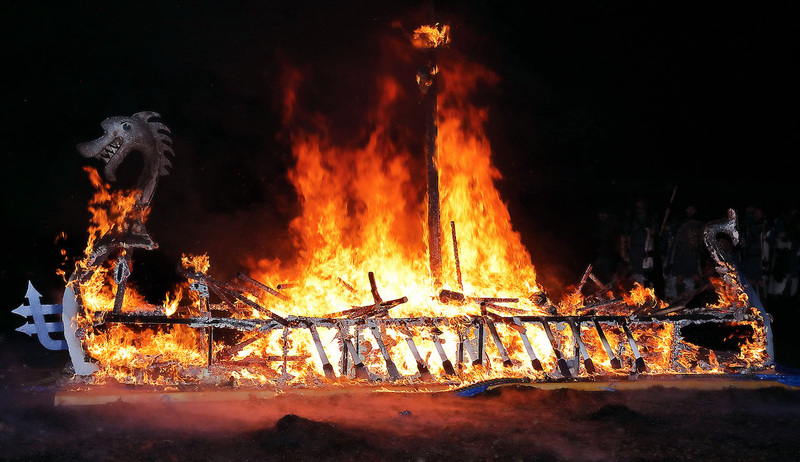 Friday’s events are all take place in Cullivoe culminating in the torch lit procession with more than 150 guizers and the burning of the galley at the marina to be followed by a night of dancing and merriment in the Cullivoe hall with music from Leeshinat. Saturday will see another visit to Burravoe hall in the afternoon before the guizers’ hop variety concert kicks off in Cullivoe. As things are starting to wind down on Sunday, the Cullivoe hall requires a proper clean up starting at 4pm to be followed by a fish and chips supper.